G-AMRA is a Douglas C-47B, construction number 26735, and she was built in 1944 for the USAAF serial 43-49474. Almost immediately after she was delivered to the USAAF she was transferred to the Royal Air Force as Dakota C3 with RAF serial KK151; where she served with Squadrons 243; 525 and 238Sq to name but a few. 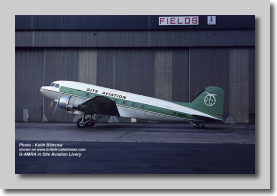 Her RAF service finished she was sold and registered to J Wilson / Starways on 8th March 1952. 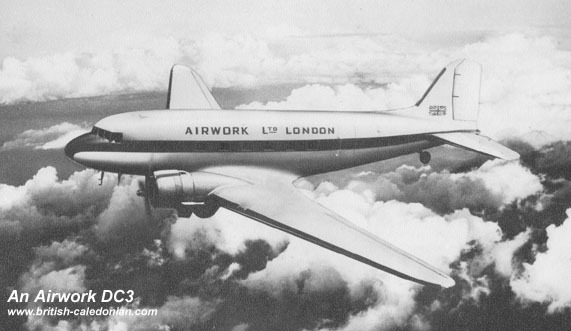 After a fairly short spell with Starways, she was sold to Airwork and was registered to them on 11th April 1953. 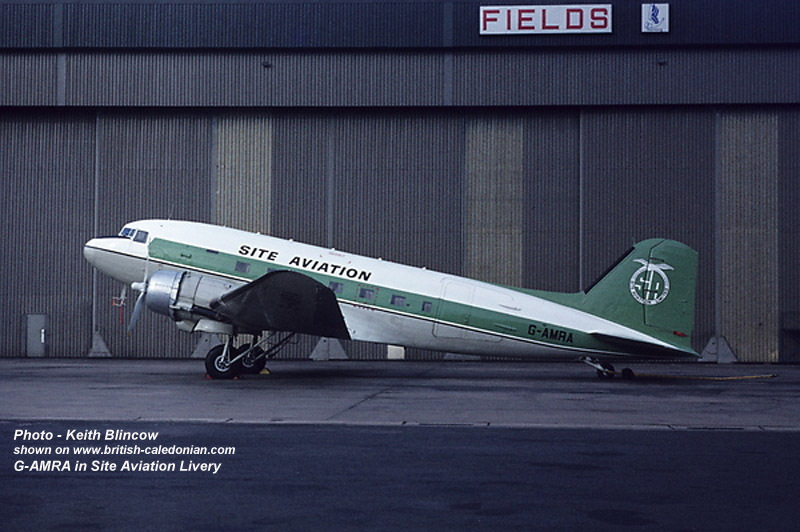 She was used for trooping contract flights as XE280 and had a short spell with Aden Oil Refining Ltd, in October 1953. 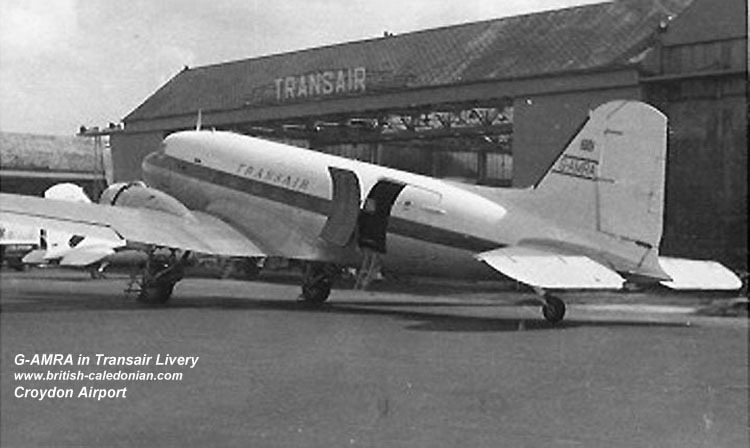 Though after seven months with Airwork G-AMRA was off to Transair. 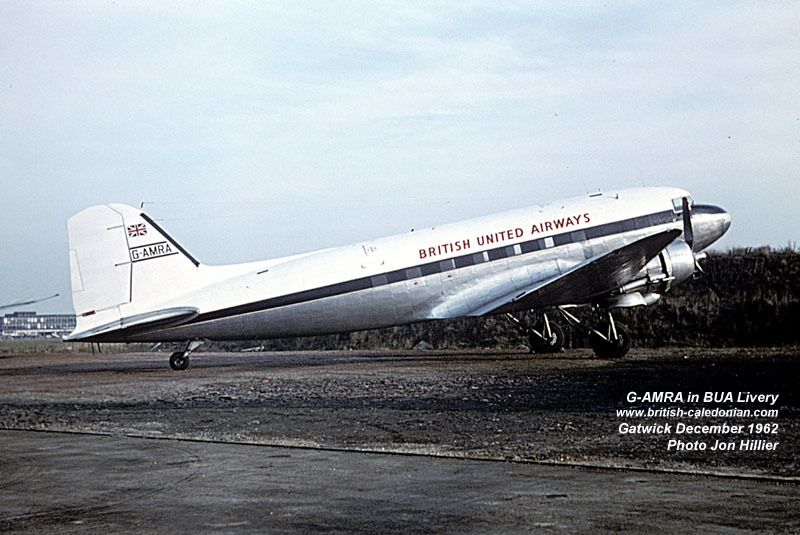 BUIA officially became British Island Airways in July 1970, ahead of the BUA sale. 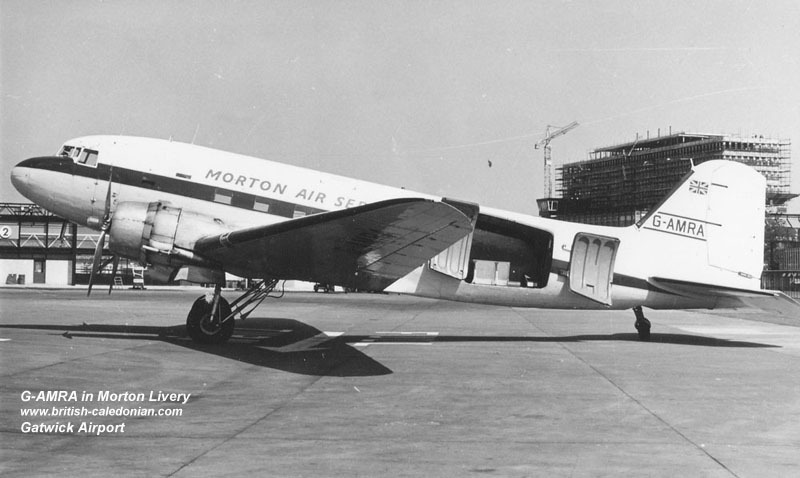 Seen here at Gatwick outside of the Mortons hangar. 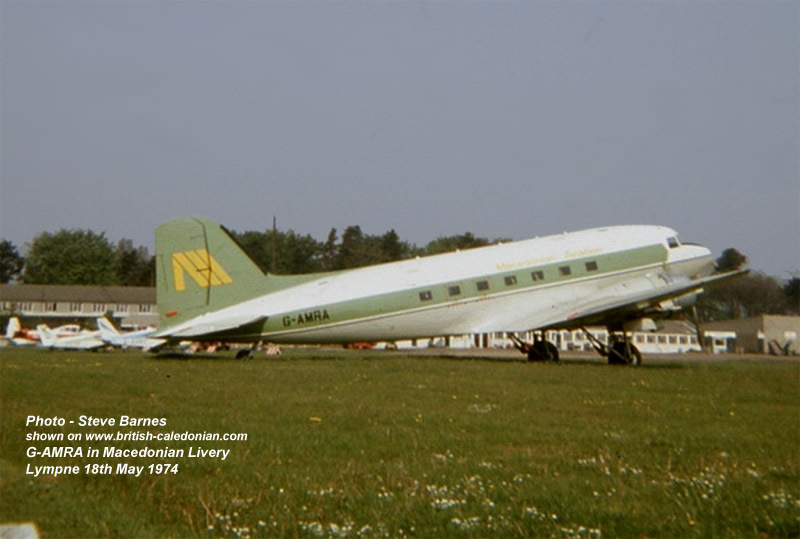 After brief service back with BIA, AMRA was off again and she was sold to Macedonian Aviation (15th March - 30th December 1974), then onto to Humber Airways (30th December 1974 - 8th July 1975), then Intra Airways - Jersey (25th August 1976 - 7th July 1978). 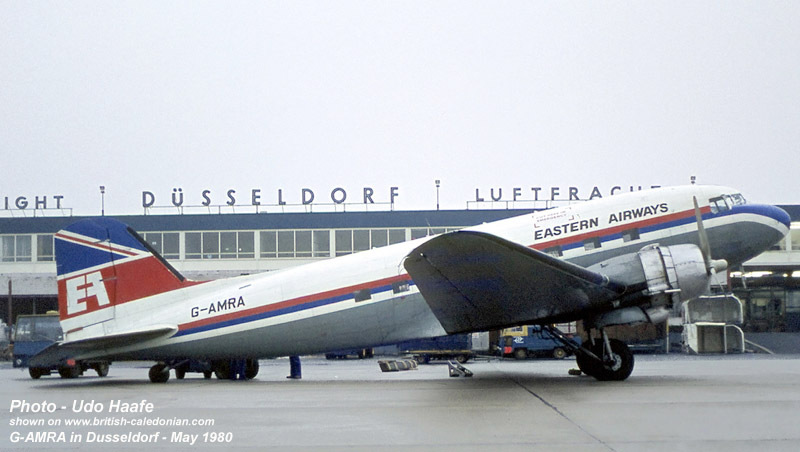 After this she was bought by Lease Air on 18th July 1978, Lease Air were trading as Eastern Airways and she was with them until 21st October 1981. 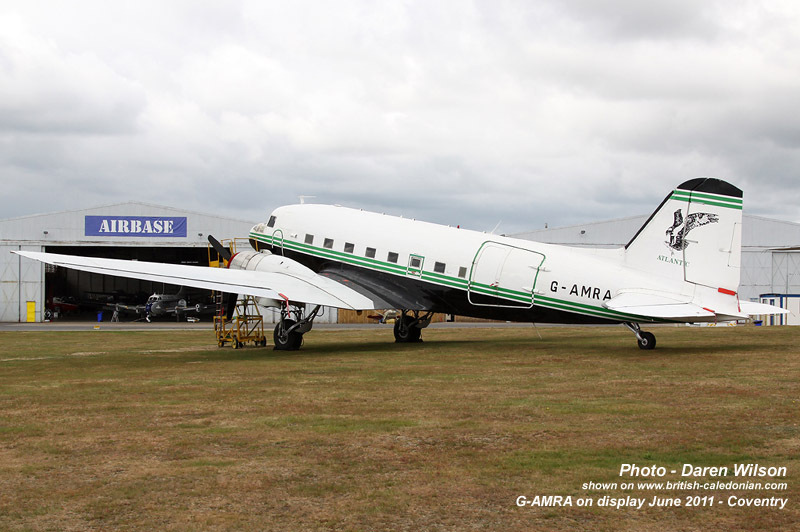 In January 1974 Site Aviation bought the last three BIA Dakotas, G-AMRA, G-AMHJ and G-AMSV. 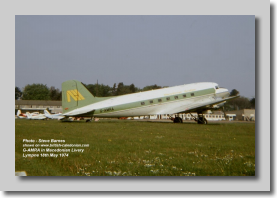 RA and HJ were ferried to Castle Donnington for overhaul by Fields Aircraft Services, whilst AMSV remained with BIA on scheduled operations. British and Commonwealth repossessed AMRA and AMHJ within the month due to non-payment. 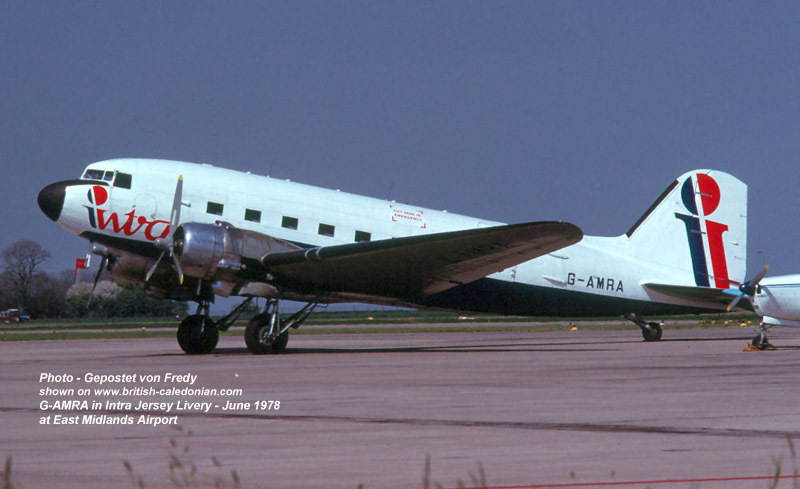 AMRA had flown just one service for Site Aviation, Glasgow to Aberdeen, before heading back to BIA. 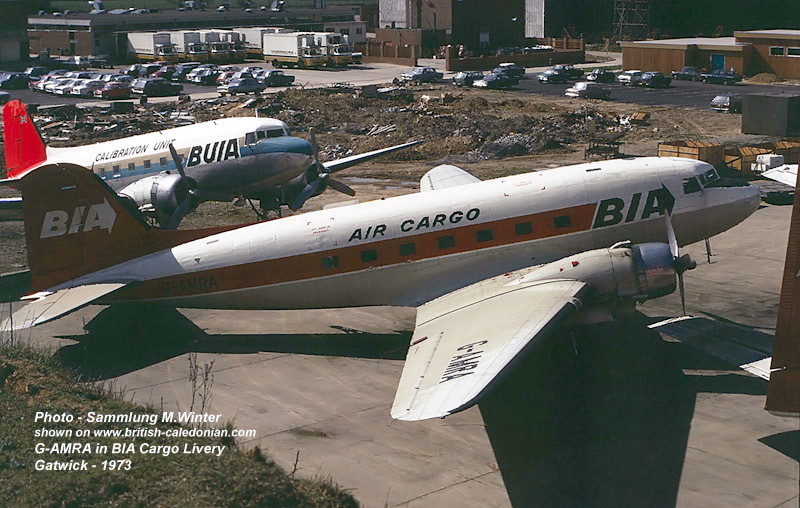 After her spell with Lease Air / Eastern Airways, AMRA was boought by Air Atlantique and would continue flying services for them. 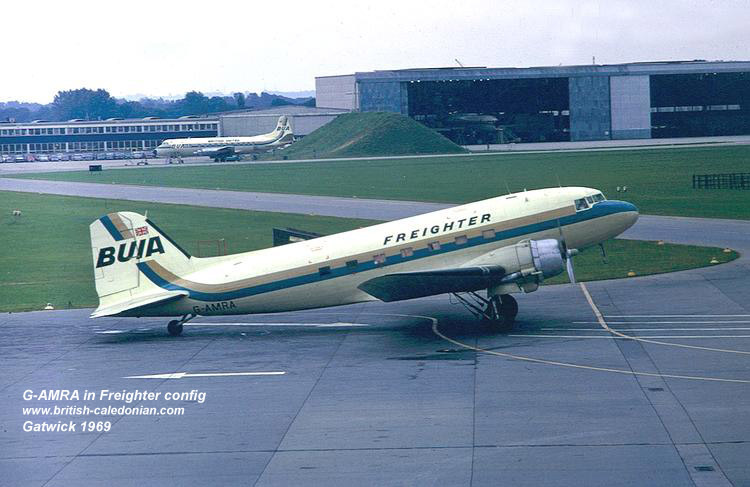 She had a major overhaul in 2000 and continued to fly pleasure flights thereafter. 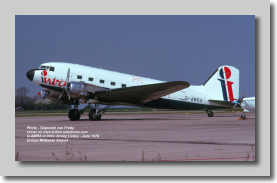 In her time with Air Atlantique she has starred in a number of films and TV programmes. 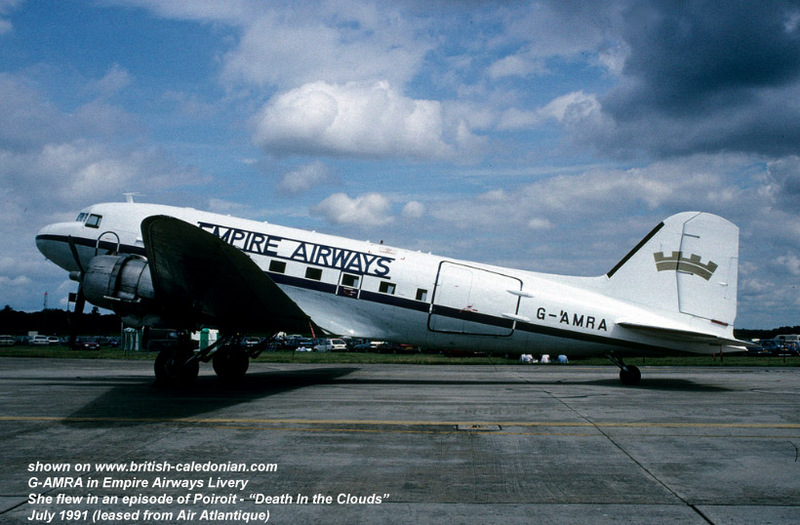 She was in Spielberg's Band of Brothers and also the Poirot series, in "Death in the Clouds" episide where she wore the fictious Empire Airways livery.